Want to lower the odds of future pro football lockouts? Of teams loading up moving vans and bolting for greener financial pastures in the middle of the night? Of clubs being run by shortsighted whim and knee-jerk fiat? Of franchises ruthlessly extracting wealth from communities without adding any value? Heck, would you just like to see beer and ticket prices remain relatively affordable? If so, then I have a piece of Super Bowl rooting advice. Cheer for the Green Bay Packers. Look, before you lash me to a goal post with Terrible Towels and have James Harrison treat my abdomen like DeSean Jackson's noggin, please understand: This isn't about Pittsburgh . The Steelers have a fine off-field organization. An enviable on-field tradition. In a conventional sports sense, they do almost everything right. That said, they aren't the Packers. No one is. 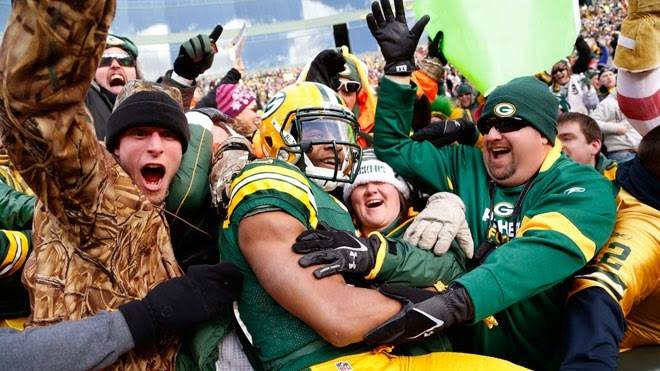 Since 1923, Green Bay has been the only publicly owned, nonprofit major professional sports team in the nation. And that doesn't just make the franchise a charming anachronism, or the answer to a barstool trivia question. It makes them an example. A case study. A working model for a better way to organize and administer pro sports. Namely, through public ownership, a system that could mitigate some of the most irritating ills plaguing our games -- and with little downside, to boot. Provided you're a fan, that is. And not, say, Jerry Jones. "Green Bay is a dangerous example for [sports] owners," says Dave Zirin, who makes the case for Packers-style ownership in his book "Bad Sports: How Owners Are Ruining the Games We Love." "Because the franchise proves the argument for public ownership in practice." Start with the NFL's potential work stoppage. Why did league owners opt out of the current collective bargaining agreement? Why are they threatening to lock out players come March? Simple. They want a revamped CBA that ensures more profit. A bigger piece of the pie. As well they should. After all, they're owners. Wealthy business people. By and large, they didn't invest sizable chunks of their personal fortunes in order to create public athletic charities, let alone act as selfless custodians of treasured civic institutions. Nope, they bought in to get paid. To amp up their investment portfolios and stroke their egos, not necessarily in that order. They're motivated first, foremost and always by personal gain. And that's fine. Fair, even. Unless you're a fan who could care less about owners getting an additional $1 billion of total league revenues -- because really, you just want to watch football. In that case, you're better off with the Green Bay model. In 1923, the Packers were nearly bankrupt. The desperate club held a stock sale. Today, the franchise has 112,158 shareholders who own 4.7 million shares. Only none of those individuals receives dividends. They don't even get free tickets. Instead, all profits are invested back into the team. As such, Green Bay's board of directors is mostly motivated to: (a) remain solvent; (b) field a competitive team. They're not driven to make money for the sake of making more money, and as such, far less likely to risk a short-term, franchise- and community-wide financial hit -- via a no-games, no-revenue lockout that could cost the league an estimated $1 billion or more -- for the sake of surplus cash in ownership's coffers down the road. To put things another way: Because the Packers are publicly owned, they are the only NFL franchise to open its books. According the team's most recent income statement, Green Bay's operating profit -- that is, the money the franchise made after expenses -- fell from $34.2 million in 2007 to $9.8 million last year, largely due to increased player costs. Other league owners -- who do not disclose their finances -- like to cite this decline as evidence that pro football's financial model is broken. In reality, it only suggests that their business is less lucrative. Fact is, the Packers still earned nearly $10 million -- almost five times what they earned in 1994, and plenty of money for an organization whose top priority isn't the bottom line. Of course, less chance of a lost or truncated season isn't the only fan-friendly benefit of public team ownership. During a 1996 national mayors' summit held in Cleveland to discuss professional sports franchise problems, then-Green Bay mayor Paul Jadin reportedly was mobbed by admiring, envious colleagues. The reason? His city's team was neither leaving nor threatening to do so. Unlike NFL teams in Cincinnati , Seattle and Tampa . And the Houston Oilers, who were being courted by Nashville, Tenn. And the NHL's New Jersey Devils, who had recently considered a Nashville move themselves. And the New York Yankees, who were -- seriously -- thinking about relocating to New Jersey . And the Chicago Bears, who were making noises -- again, seriously -- about moving to Gary, Ind. Oh, and also unlike Cleveland's Browns, who already had announced their imminent departure to Baltimore, where locals were funding a $200 million stadium and offering other sweetheart incentives, all designed to line then-team owner Art Modell's pockets. Indeed, while sports owners from coast to coast were doing what sports owners do to city officials -- specifically, exercising leverage to extort cash from panicky, competitive municipalities; or, as Modell put it, "if this league allows the mayor [of Cleveland] to hold the Browns hostage, then every one of you are hostages, too" -- Jadin could sleep easy. Public ownership meant the Packers wouldn't bolt. Not then. Not ever. Not with fans invested in the club, emotionally and financially. The upshot? Had the Baltimore Colts' ownership structure been similar to Green Bay's, they never would have left in overnight trucks for Indianapolis. Moreover, the Packers can't shake down their city by hiding their finances and pretending to cry poor, a la the Florida Marlins. Nor can they threaten to leave to get what they want. Instead -- novel concept! -- they have to work with their surrounding community. Case in point: About a decade ago, two bankers on Green Bay's board of directors reportedly told then-chairman/CEO Bob Harlan that the team needed to increase its revenues, lest it end up "in a dire situation." In response, the Packers didn't ask for a new stadium. They didn't soak fans with exorbitant ticket prices. Harlan went to the Wisconsin state legislature to ask permission to hold a special referendum. Residents of Green Bay voted to chip in $169 million in public funds. The Packers contributed $136 million, funded in part by personal seat licenses sold for a reasonable, below-market value price. The facility was built in two years, boosted the team's revenues and became a model for other franchises. Similarly, Green Bay's average ticket price is lower than the league average. No team charges less ($5.25) for a game-day brew. The club has volunteers staff its concession stands, with proceeds ($750,000 in 2009) going to local charity groups. Would a profit-first, privately owned NFL franchise such as the Washington Redskins -- which has charged fans for parking even when they don't drive to the stadium, sued grandmothers who couldn't afford to keep their season tickets and sold beer in the FedEx Field bathrooms -- even consider doing the same? Speaking of the Redskins, the Packers' ownership model ameliorates something else that drives fans nuts: the enthusiastic, all-controlling owner who really, really wants to win, but meddles too much in impatient, hit-and-miss fashion to make sustainable on-field success possible. (See also: the Dallas Cowboys). Green Bay shareholders elect a board of directors and a seven-person executive committee. The second group attends NFL owners meetings, attends to league matters and makes business decisions. Meanwhile, football decisions are made by general manager Ted Thompson, whom Zirin calls "the luckiest and happiest GM in sports." "Take the situation with Brett Favre," Zirin says. "[Favre] was a legend. Had a lot left in the tank. Had proven he could sell out Lambeau Field. Most owners in that situation would have kept him. They wouldn't have even drafted Aaron Rodgers. Ted Thompson drafted Rodgers over Favre's objections, made sure he was trained properly, then decided that it was in the best interest of the team to not have Favre's off-field, will-he-or-won't-he drama every offseason. "Thompson was able to make that decision and see if it would work because he had space. He didn't fear a quick hook or have an owner breathing down his neck. Owners often feel like because they have the largest stake in the team and the biggest checkbook in the room, they deserve to have a say in football operations. It's like owning a hospital and wanting a say in how surgery is done. Historically, that's a recipe for failure." Are there drawbacks to public ownership? Advocates of private ownership argue that team owners assume tremendous financial risk, putting up large amounts of money and taking on debt. Conceptually, this is true; in practice, the financial risk is minimal. NFL ratings continue to soar, delivering a reliable audience in an otherwise fragmented media era, pushing television rights fees ever higher. Not coincidentally, franchise values also continue to rise. Located in a city of just 102,000 people, the Packers have an estimated worth of $1 billion. In other words: Compared to mortgaged-backed securities, collateralized debt obligations and some of the other complex -- read: crappy -- financial products pushed by Wall Street in recent years, owning an NFL club might be one of the least risky investments going. Likewise, while publicly owned franchises theoretically ought to labor under the same inefficiencies common to municipal bureaucracies, Green Bay is a remarkably well-run club, financially and competitively. Can the privately owned Cincinnati Bengals say the same? Stability. Security. A shared sense of purpose between fans and teams. If the Packers model seems too good to be true, that's because it is: In 1960, the league wrote a rule into its own constitution prohibiting additional nonprofit, publicly owned teams. Why should the great unwashed enjoy any of the money-printing, antitrust-exempted fun? Nevertheless, when Green Bay takes the field for Super Bowl XLV -- possibly the last pro football game of the calendar year -- it will be nice to imagine a better alternative. Actually, you won't have to imagine.